Naidu’s fast is expected to see support from opposition leaders, including Rahul Gandhi, Farooq Abdullah and Arvind Kejriwal. New Delhi: Andhra Pradesh Chief Minister N Chandrababu Naidu began a day-long fast here on Monday, demanding that the Centre grant special status to the state and fulfil all promises made before its bifurcation in 2014. 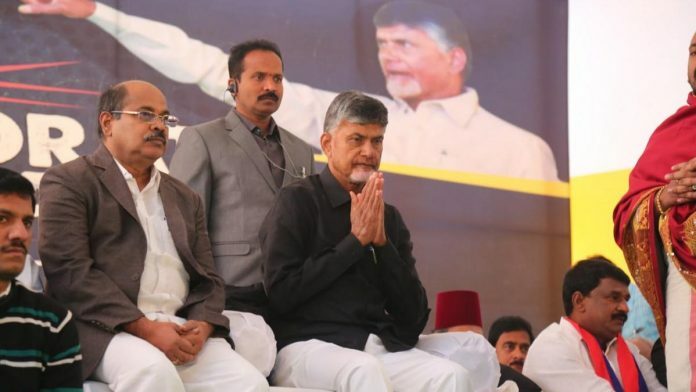 A number of Opposition party leaders – including Congress president Rahul Gandhi, National Conference president Farooq Abdullah and Delhi Chief Minister Arvind Kejriwal – are expected to extend their support to the Telugu Desam Party (TDP) chief’s fast at the Andhra Pradesh Bhavan. Before beginning the fast, Naidu offered tributes to Matama Gandhi at Raj Ghat and to B R Ambedkar at Andhra Pradesh Bhavan. A TDP delegation led by Naidu will submit a memorandum to President Ram Nath Kovind on Tuesday. 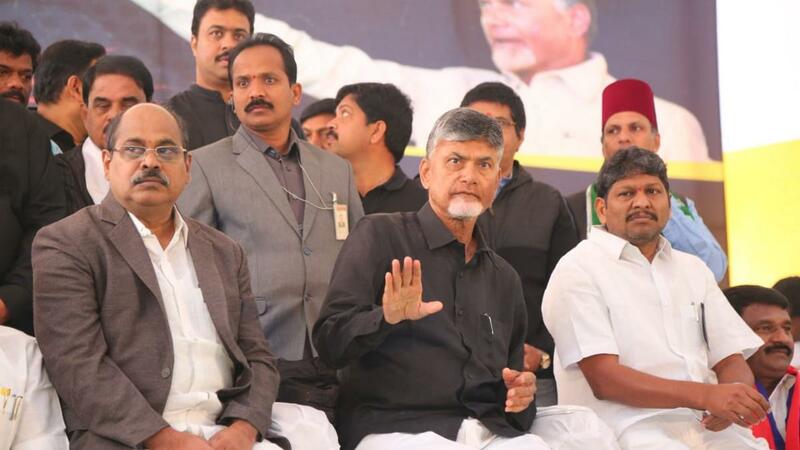 Naidu has been trying to unite the opposition parties to take on the BJP in the general elections. Over the last three months, he has held a number of meetings with the opposition party leaders on forming an anti-BJP front. In March last year, the TDP had pulled out of the NDA government over its refusal to grant a special status to Andhra Pradesh. 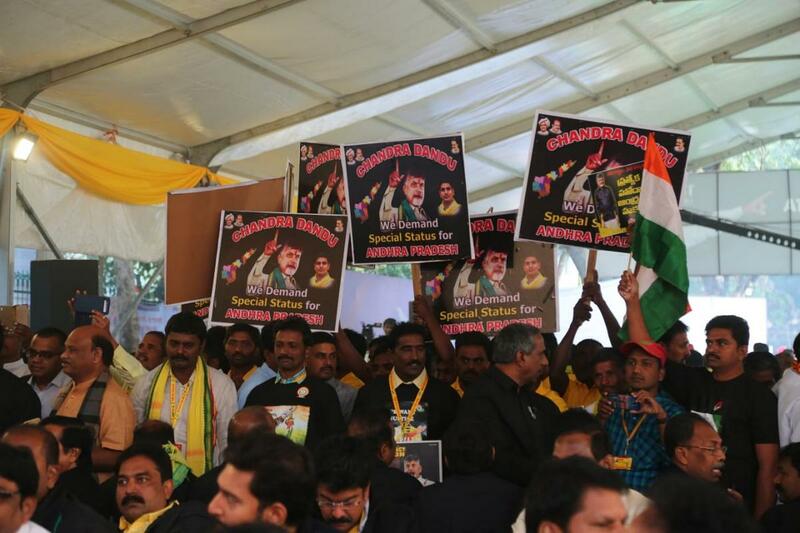 The party has been accusing the Narendra Modi government of not releasing enough funds for the Polavaram irrigation project, the Kadapa steel plant and Amravati, the under-construction ultra-modern state capital. On June 2, 2014, Andhra Pradesh was split into two, and Hyderabad became the capital of the new state Telangana.